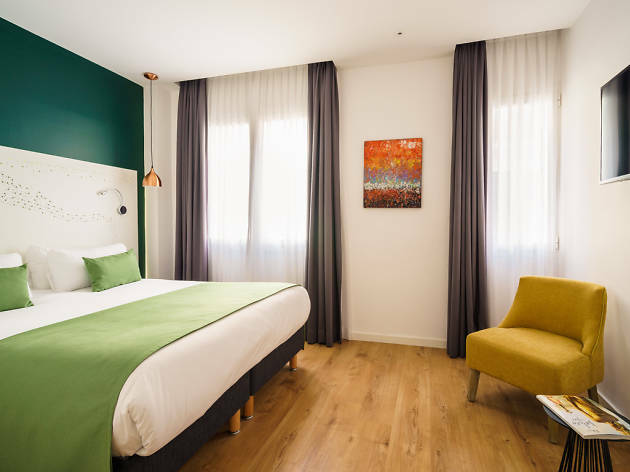 Because of this boutique hotel's small stature – just 30 rooms – and central location in Malasaña, you might confuse it for a hostal. But you only have to cross the threshold to know that couldn't be further from the truth. 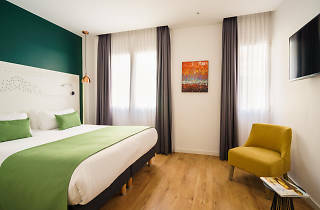 The Walt's functional design and contemporary, strikingly colourful decor, with artworks everywhere – the owner is passionate about art – are reminiscent of other big cities with New York style, where this type of accommodation is on trend. Some of the rooms have a private terrace, and all guests have access to the interior patio, speakeasy-style lounge bar, and – thanks to an agreement with the nearby Gymage Lounge Resort – a gym and swimming pool for doing laps if you can't spare your fitness routine during your holiday.